Magic Kris | Wedding MagicianWedding Magician everyone can afford. Wedding Magic Offer– Click Here! Would you like your perfect day to stand out from all the rest and make it special with a magical touch? Kris is available to perform wedding magic for your big day all across the Northwest and the country! Kris has performed at hundreds of weddings and knows that each one is different and equally as special to the bride and groom and their guests. 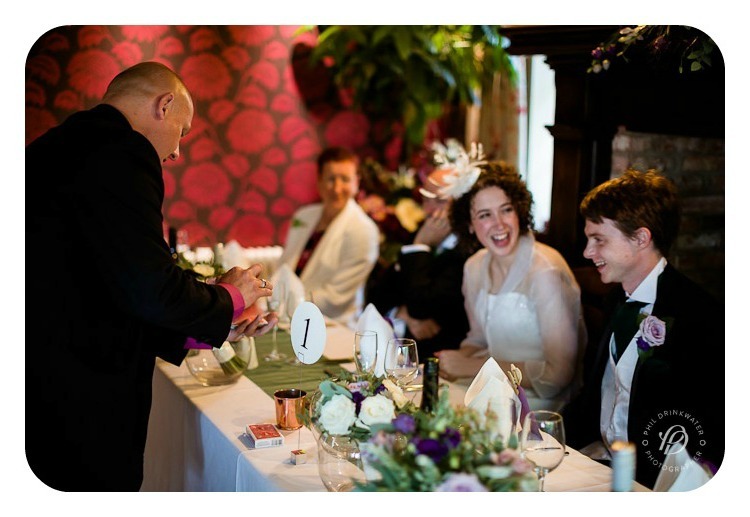 Kris has been a wedding magician for over a decade and can design a magic package to suit your needs and price bracket. Give your guests the unexpected surprise! As a professional wedding magician with a comedy twist, Kris’ clients always remember what a good time they had at your wedding! Everyone commented how fantastic you were and what a great bit of entertainment it was. People have their own budget for lots of extras throughout their wedding so everyone is different and sometimes want multiple things happening at any one time on the wedding day. Kris can provide 1, 2 or 3 hours of magic to suit your needs. He will provide you with an exclusive performance for the bride and groom that are only ever performed for wedding couples. These are intimate routines which are specially designed for the bride and groom. This includes a one of a kind giveaway that you will want to keep forever as a keepsake for your special day. 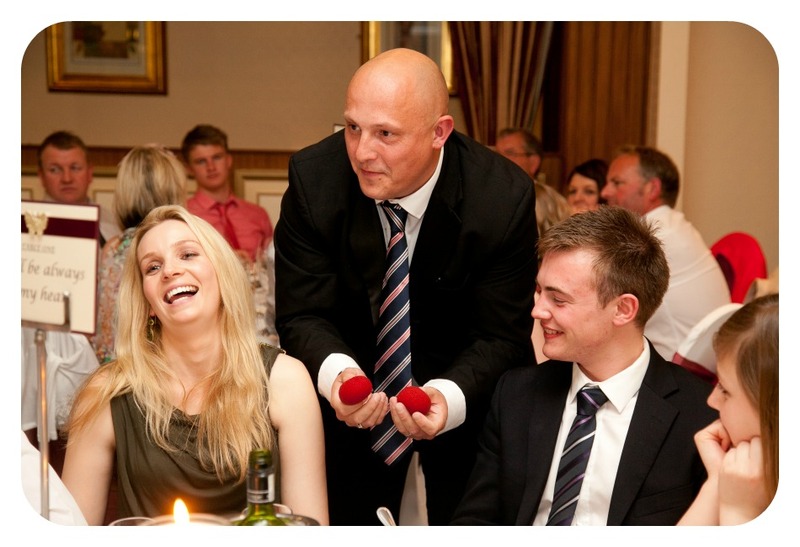 Kris performed magic for our guests at our recent wedding reception. 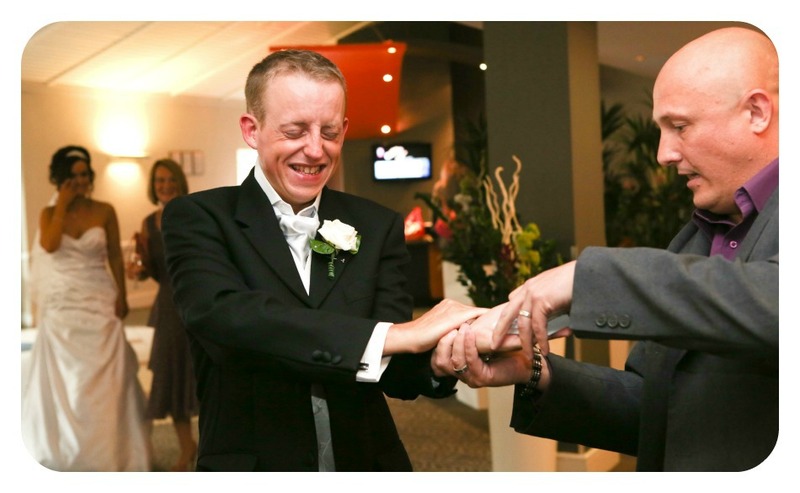 We had so many comments from guests, young and old, about how much they enjoyed Kris' tricks and he really added great fun, and some magic, to our wedding day! There are various times and places people book Kris for their magical day. The main three are after the ceremony and during the photos, table magic throughout the wedding breakfast and greeting the guests as they arrive to the venue for the night’s celebration. (Golden hour). 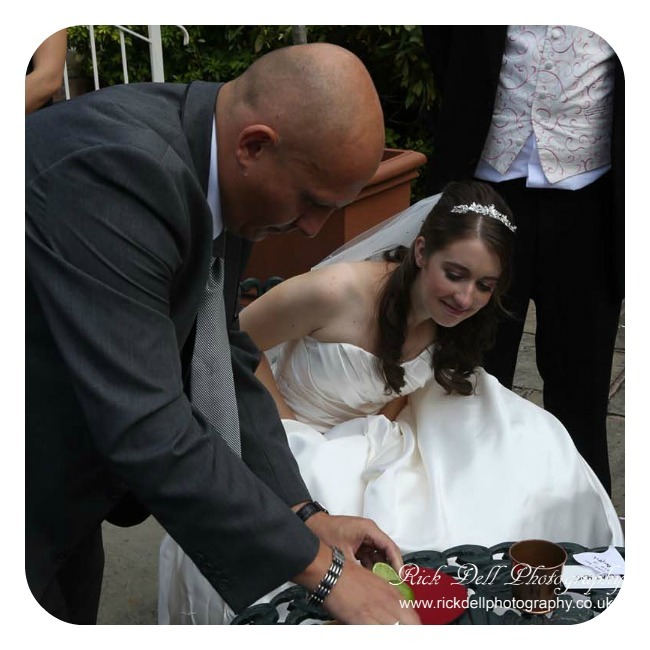 If you are not quite sure where you may have a wedding magician why note give Kris a call. My wife and I would like to thank you again for performing at our wedding. It was the perfect bridge between the wedding breakfast and evening reception. We have had many compliments from our guests and they have said one of the main highlights was you. We would not hesitate to recommend you in future. If you would like to discuss or tailor make a package to suit you, please contact Kris as soon as possible as he works on a first come first served basis. No matter where the venue is wedding entertainment is Kris' favorite area. Weddings are especially magical because of the personal response he receives from both guests and the wedding couple. Wedding entertainment with magic will amaze your friends and family at your wedding to make it extra special. For more details call Kris on 07908 799 729 or email bookings@magickris.co.uk to discuss your all your magical entertainment requirements.